Sometimes “seeing is believing”! The use of video as a learning tool enables our students to connect body awareness (the way the swing “feels”) to visual reality (the way the swing “looks”). Once this connection is made it can bring immediate results. Your Video Lesson will be available to you through your own personal online locker where you can access your lesson anytime as often as needed to maximize learning. We are offering two types of packages; Executive (30 minute lessons) and Championship (60 minute lessons). Review the packages above and find the one for you! 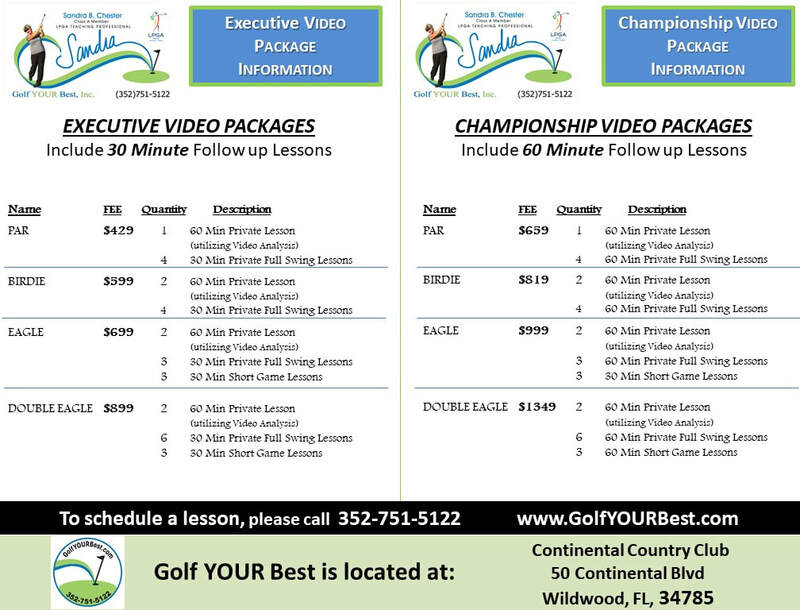 We look forward to helping you Golf Your Best with our new Video Packages!